Search Results for "Iu-Wei Sze"
The Execute R Script module in Azure Machine Learning is incredibly useful for manipulating data in ways that other modules do not cover. Its functionality can be further expanded by adding R packages that are not included in Azure ML by default. We will first show you how to get a list of packages that are already in your workspace and then how to add additional packages. Run the experiment. The output of the Execute R Script module will be a list of the available packages. While working with Azure Machine Learning, we ran into some situations that seem simple to handle in hindsight, but are rarely discussed online. Here are some simple Azure ML tips and tricks that we found useful. In one of our projects, we found that we needed to use the same trained model multiple times rather than just once in a predictive experiment. To do this, save a trained model by right clicking the output port of the Train Model module and selecting the Save as Trained Model option. Azure Machine Learning is part of the Cortana Intelligence Suite. It’s a cloud based collaborative drag and drop tool that can be used to build, test, and deploy predictive analytics solutions. We recently worked with Casella Waste Systems to analyze their customer and sales data using Azure ML. We found Azure ML to be a useful tool that allowed us to visualize our work and avoid coding when it wasn’t necessary. However, the process of creating successful experiments didn’t come without some speed bumps. Here are some things that we discovered along our ML journey, delivered in the spirit of a Buzzfeed article. I recently worked on a POC using the Power BI API. 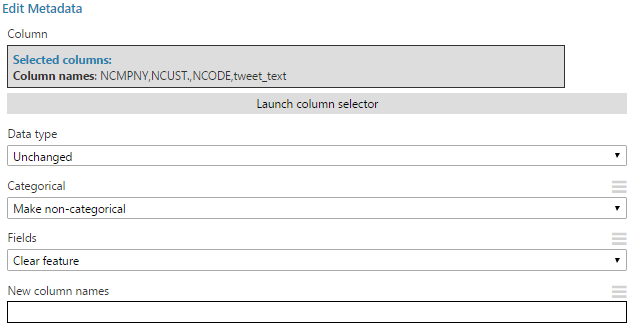 The purpose of the POC was to be able to add a dataset from a SQL database into my Power BI workspace through the use of a console application instead of manually having doing it from the GUI in Power BI. The goal was to make it abstract enough so that we can use it for any database in SQL by simply adjusting a few parameters inside an app.config file. To get an example of how one would use the Power BI API in visual studio, I referred to this github repository [dead link] to be a base for my application. There are some things that the example doesn’t show you which is what I’ll be focusing on in this article.